Today in unfair and unjust labor practices in the media industry, we look towards NPR, where temporary workers are hired to do the same work as other producers and editors, but regularly have to worry about their assignments ending for no reason, or worse, for a bad reason, like the fact they took a vacation. Union representatives at NPR said that about one in five workers in the newsroom is a temp worker. NPR attempted to downplay its reliance on its temp workers, but simply fluffed that statistic by including employees who aren’t eligible for the union, like managers and interns, in it. Still, according to NPR’s number-crunching, temps still account for a significant percentage of the company—around 16 percent—while a study last year showed radio stations on average have just have one temp worker. Her responsibilities ran the gamut: editing, research, pitching story ideas, writing segment introductions, mixing recordings, doing interviews. In a lengthy response via email, Mayor made no mention of any financial advantage in employing temps. But the potential seems obvious: Temporary employees are paid only when they work, and they work only when managers decide. This gives NPR, a nonprofit organization, flexibility in managing its payroll and broad discretion over work assignments. But temp workers are still subject to the same working conditions as everyone else, even if those working conditions are potentially terrible. As the Post points out, a “then-temp worker” was among the women who accused NPR’s former head of the newsroom, Michael Oreskes, of misconduct, which led him to eventually step down. The media industry runs on one well-greased lie: That working for prestige journalism outlets—and increasingly, working for any journalism outlet—is something that journalists within the system should be eternally grateful for, regardless of the pay or working conditions. That is not true, and workers have been realizing that for a long time. 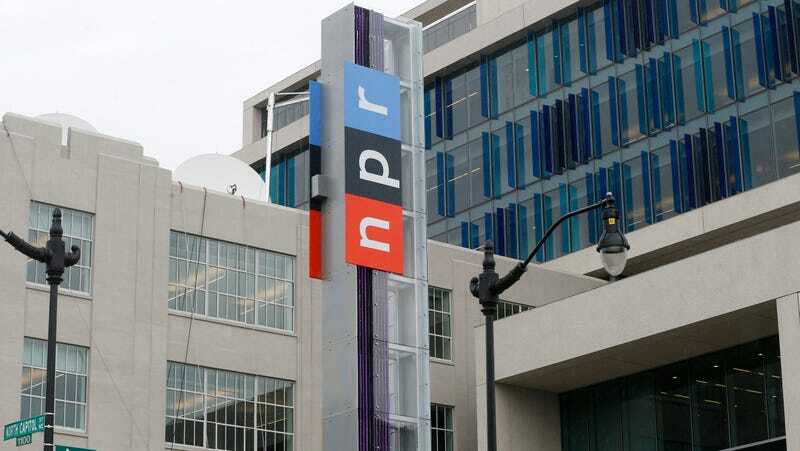 NPR may feel some pressure to do better—it offered full-time jobs to 26 temp workers in April—but if the status quo continues, it will surely hear from more of the workers it’s stringing along. It’s only a matter of when.